This London-based course is an interdisciplinary programme enabling students to examine, by way of a dissertation of around 25,000 words, aspects of the history of the Tudor dynasty and its international importance. Students will be encouraged to consider the interrelation of political, architectural, art, and social history. After the Course Director’s general introduction, there will be a series of ten seminars which explore the origins of the Tudor dynasty in the Wars of the Roses and the government of the early Tudor state (and its limitations). 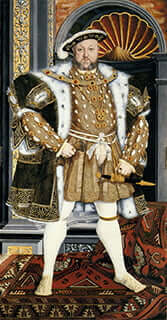 The reign of Henry VIII will be examined as an example of ‘Renaissance monarchy’. 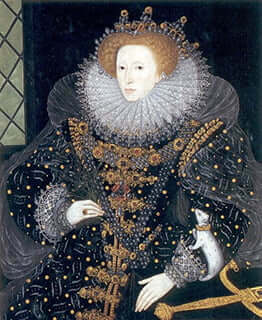 Female monarchy and its implications for the Tudor government will be another major theme. The course will also consider the material culture of Tudor England at all social levels, examining propaganda and print, architectural patronage and its development throughout the Tudor period. It will review the evidence of artistic patronage and the development of Renaissance literature and drama in the Tudor period. Reading lists will be made available before each lecture to allow for background reading and discussion with the expert speakers. Each seminar will take place in the early evening at the Reform Club in Pall Mall, and will include a 40-minute question-and-answer session with the seminar speakers, all recognised experts in their fields. Each seminar will be followed by a dinner at which there will be further discussion with the speaker and a general conversation about the topic at hand. The cost of the dinners is included in the tuition fees. Click on the Teaching & Assessment tab for more information. Tutorials and meetings will take place at the University of Buckingham’s London offices at 51 Gower Street, Bloomsbury, WC1E 6HJ. The 2018-19 seminar dates have been provisionally confirmed as follows. Location: 51 Gower Street, Bloomsbury, London, WC1E 6HJ. Glyn Redworth is a Fellow of the University of Buckingham’s Humanities Research Institute and member of the History Faculty of Oxford University. He is a Fellow of the Royal Historical Society and an Honorary Fellow of the Historical Association. He held the Reina Victoria Eugenia Visiting Professorship at the Complutense University in Madrid on behalf of the British-Hispanic Foundation, and has taught in London, Dublin, and Manchester. He read history at Cambridge, taking his doctorate at Oxford under the supervision of Christopher Haigh. The breadth of his research interests is unusually broad, as he writes on both British and European early modern history. 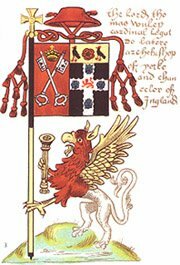 His publications range from his first book on the mid-Tudor bishop, Stephen Gardiner of Winchester, to articles in History Today, the Historical Journal, The Economic History Review, as well as in Spanish and Irish journals. Other books have dealt with the ill-fated Spanish Match of 1623, and the Spanish Missionary to London, Luisa de Carvajal, whose correspondence he edited in a 2-volume translation of her letters into English. 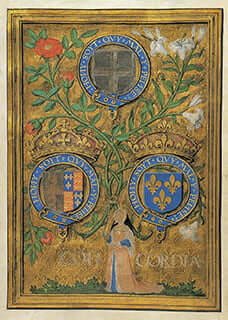 He is currently interested in diplomatic and military links between the Continent and Tudor Britain. For those wishing to attend the evening research seminar programme, but unable to devote the time to the coursework or to register for the MA degree, there is the option of becoming an Associate Student. This status will enable the student to attend the ten research seminars and to meet the guest lecturers, in the first six months of the programme, but does not require the submission of written work. Associate Students are not registered for and do not receive, the MA degree.